You probably already know about the 4 P’s of marketing: Product, Price, Place, and Promotion; but do you know about the 3 C’s of social media marketing? Content, Consistency and Community are three important parts of your social media marketing. The first C is content; you cannot have a social media presence without content. Use your own content as well as curated content. Promotions: discounts, special deals, etc. Remember that social media audiences do not like being constantly advertised to. Provide value not just sell to them. Created content requires planning but since it links back to your website, you have a chance to convert visitors into subscribers and eventually customers. Also creating your own content showcase your expertise and set you apart from the competition. You could promote your clients’ blogs, social media posts or charities that you are involved in; they are sure to appreciate the exposure and may return the favor. Or you can share content from leaders in your industry; it will show that you are on-top of industry news and bring other perspective. Use those tools to help you find and keep an eye on other people content: Buzzsumo.com and Feedly.com. Use hashtags (#) especially on Twitter and Instagram and optimize your Facebook posts and Pinterest pins with keywords to help you get found by a larger audience. Timing & frequency – choose how often you will post and when. Tone – Use a consistent tone and avoid having a “split personality” on social media. Your tone on social media should be aligned with your brand “personality”. Engagement – Are you responding to some followers but ignoring others? Respond to all your followers consistently to build your community. Block time each week to find and create content. Use a social media content calendar to help you be consistent. Schedule your content in advance using a social management tool. When a business is consistent on social media it builds trust and goodwill with potential customers. The third C is Community. Creating or curating content and posting this content consistently will help you grow your audience organically when your content is shared, re-tweeted or re-pinned. Engaging with your audience will build a community of fans and brand advocated who love your company, buy your products/services and recommend you to their followers. Make sure to reach out and let your brand advocates know that they are valued members of your community. Comment, like, or share their content on your social media platforms. Address customers’ complaints. Those are great opportunities to fix a problem publically; it shows that you care and want to make things right. Be authentic when engaging with your audience so that they know that there is a real person behind the logo who cares about them. People do business with those they know, like and trust. Building trust on social media can be challenging because people don’t know who they engaging with. 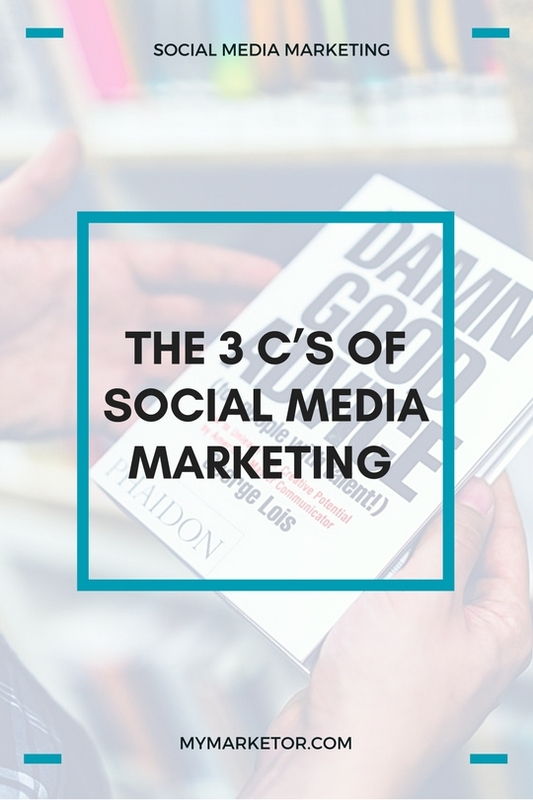 The 3 C’s Of Social Media Marketing will help you build trust and goodwill with your audience. Providing engaging and informative content and being consistent will ensure that your social media community survives and thrives. Many small business owners want to be active on social media but can’t seem to find the time. Sound familiar? We are here to help you GET IT DONE. CONTACT US today to find out more about our social media services.